Here's a cool little block sliding puzzle game I've put together. Themed around Minecraft of course. 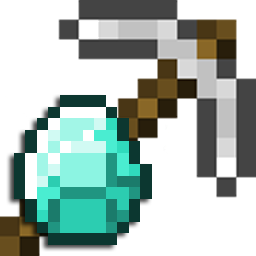 The objective is to slide the diamond ore to the pickaxe to collect a maximum of 3 diamonds per level. How many diamonds can you collect? Open Sliding Minecraft Blocks in a new window. If you like the game or have any cool ideas for more game then please leave your comment below. I got until level 10 so that's 9?